Edinburgh stole my heart with red-haired hooligans, gruff, gravely accents, and deep-fried mars bars (helllllllo diabetes). I never really gave the place much thought until my sophomore year at college when I decided, quite spontaneously, to move there for a year of school. I’m not quite sure how to convey the majesty of Edinburgh, Scotland. The city itself is a maze of cobblestone streets, hidden closes, and haunted dungeons. 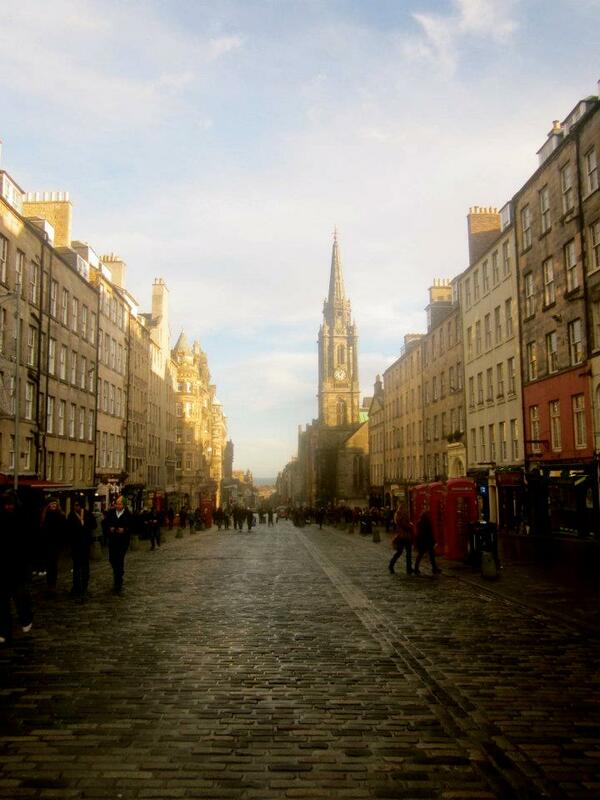 Often overlooked for the more urban and “happening” London, Edinburgh has a charm that is hard to resist. The city is filled with more culture and history than you will know what to do with. If you have a couple free hours, head up the city’s resident inactive volcano. Yes, that is right. Volcano. On a clear day there is nothing more beautiful than a stroll up the hill to the plush grass to have a beautiful view of the city. A quick jaunt around the diameter will bring you lochs, cliffs, and, true to Scottish form, a pub. High above the city, the castle sits on steep volcanic rock and looms above in an almost sinister way. The front of the castle is a perfect view of the city, and if you’re willing to split with a few notes, the tours and attractions inside are wonderful and incredibly informative. Edinburgh is famous for its underground city, and there are multiple daily tours that will take you to its darkest depths. Besides my phobia of catching the Plague down there, this was my favorite activity by far. Catch any tour advertised on the Royal Mile and you should be good. 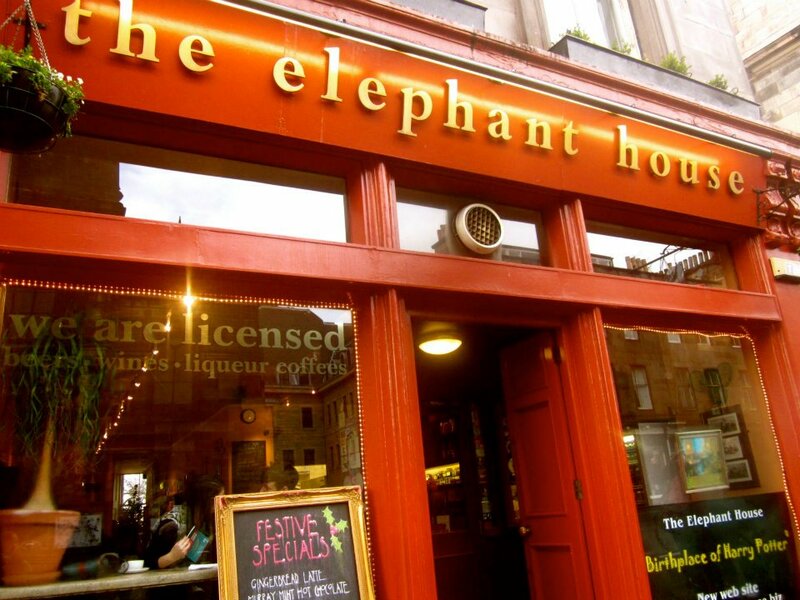 If any of you spent your childhood donning round rimmed glasses, waiting for the day for your acceptance letter to arrive by owl, the Elephant House is a must-see. If you have no idea what I am talking about, just skip to the next paragraph, I’m about to nerd out. To be able to sit at J.K. Rowling’s old seat, sip a latte, and look out at the graveyard and castle she was once inspired by, is any literary geek’s fantasy. I guess the food is pretty good too. Packed with every greasy thing you could ever want for your Saturday morning hangover, this smorgasbord of deliciousness will keep you satisfied far into the afternoon. Traditional items like bacon, eggs and sausage are piled with mushrooms, tomatoes and black pudding (which I am convinced is just a gigantic scab). There is no arguing that you will satisfy both your appetite and palate with this well-rounded plate. Don’t listen to those who haven’t actually given this national staple a try. Organs, oats, goat’s stomach…what’s not to love? 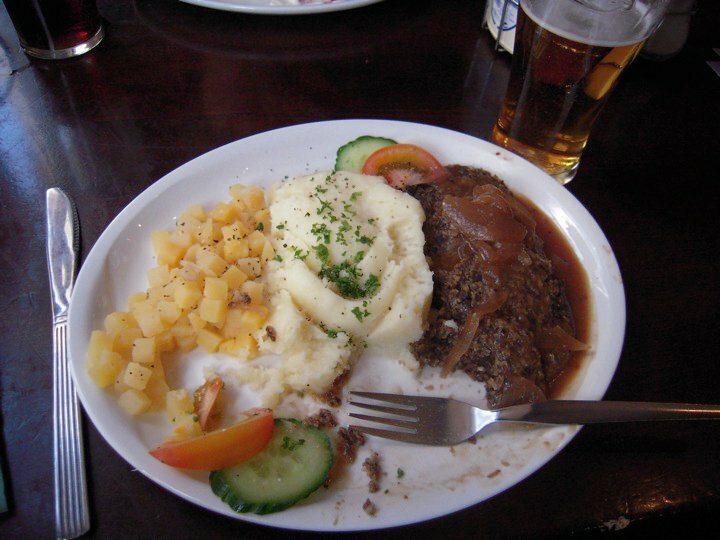 In all honesty, haggis became my favorite Scottish food and I would order it whenever the opportunity presented itself. With it quite possibly being the only British food with real flavor, I say, bring on the innards! In the back room of this pub, there is a humongous bed. I know what you’re thinking, and there is no freaky hanky-panky going on here. It’s more of a gigantic mattress with tables bolted into it, which faces a monstrosity of a television, which tends to show every cult classic ever made. So, basically, it’s the coolest place in existence. Kind of gothic, but definitely awesome. I stumbled upon this place on accident after closing down a few other bars with my roommates. 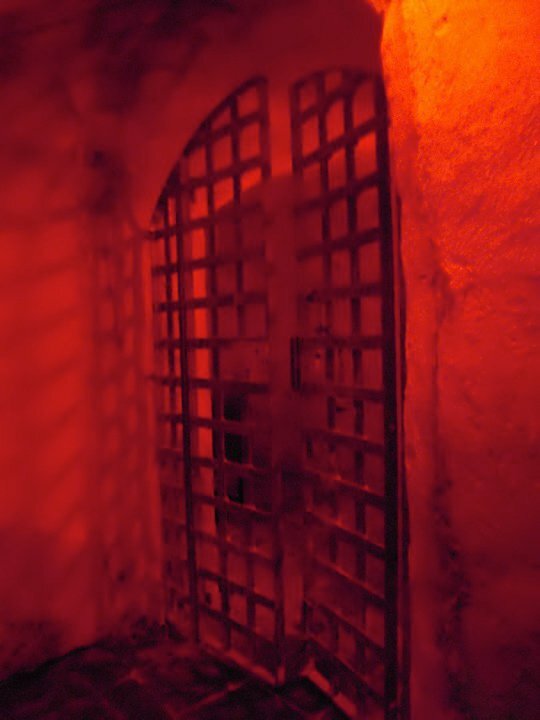 Allowing one to literally sip a beer in the famous Edinburgh dungeons, this place has the right mixture of death and entertainment (is that weird?). Supplied with Saturday night karaoke, a stripper pole, and seven different rooms, this is a hidden gem that I dare you to check out. Museums are free in Scotland…definitely take advantage of it! If you are going to climb Arthur’s Seat, make sure to not choose the trail that loops around the front. It’s an illusion, and after all that hard work, you’ll just end up at the bottom again. Harry Potter was written here and you’ll find all sorts of J.K. Rowling’s inspirations from shop names to tombstones. You cannot buy alcohol from supermarkets after 10 p.m. (say whaaaat?! ), so get there quick! Scottish weather changes on a dime, so make sure to always bring an umbrella. You can get across the country in a good five hours. I would recommend a bus tour ( I used Haggis Adventures) or renting a car (If you’re daring enough to face the streets!). You can see a good chunk of the country in a day’s time. Edinburgh is unlike anywhere I have ever been. It has a striking beauty and an enticing culture that captivates you in the humblest way. There are few places that rival its old time charm or new age offerings. This entry was posted in Reviews, Travel Tips, United Kingdom and tagged Arthur's Seat, Dungeon tour, Edinburgh, Edinburgh Castle, Elephant House, globetramp, Haggis, Hayley Greene, J.K. Rowling, Pubs, Scotland, travel. Bookmark the permalink.